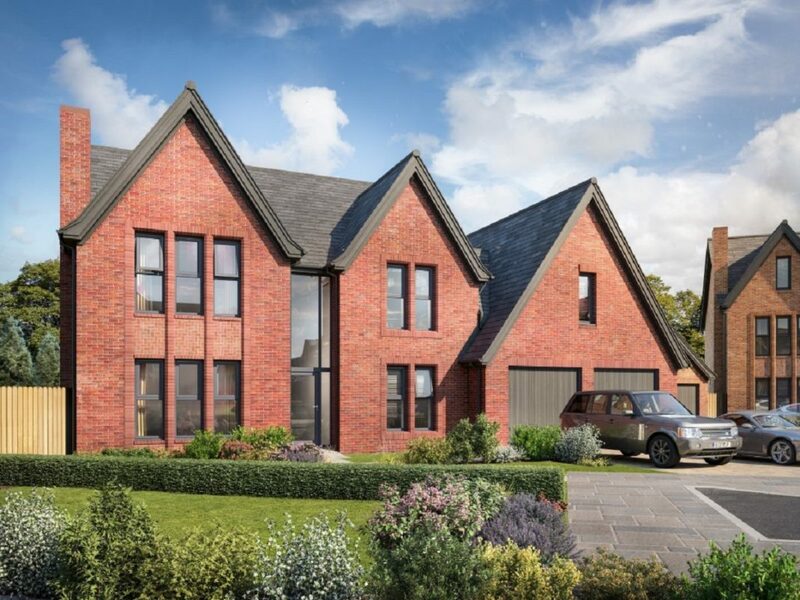 The Wardell is a luxurious five bedroom detached home with integral double garage. 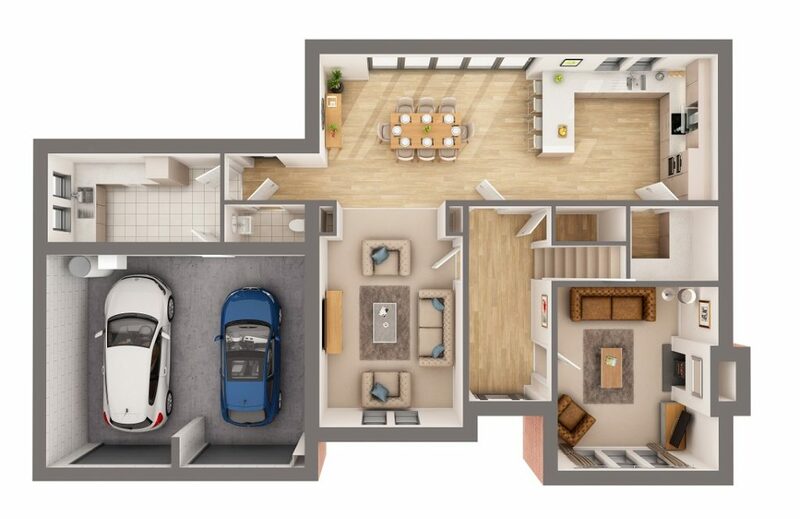 Featuring a spacious open plan kitchen, dining and family room with superb floor-to-ceiling Bi-fold doors which open fully onto the rear garden, truly allowing the outdoor and indoor living spaces to be brought together. A separate living room leads from the hallway which a stunning design feature of this property is the expansive glass which allows natural light to flow through both stories of this home. The Stairs lead up to an extensive galleried landing which overlooks the main entrance hallway. The Master Bedroom comes complete with walk in wardrobes and full en-suite bathroom. Bedroom two also includes en-suite with shower facilities. 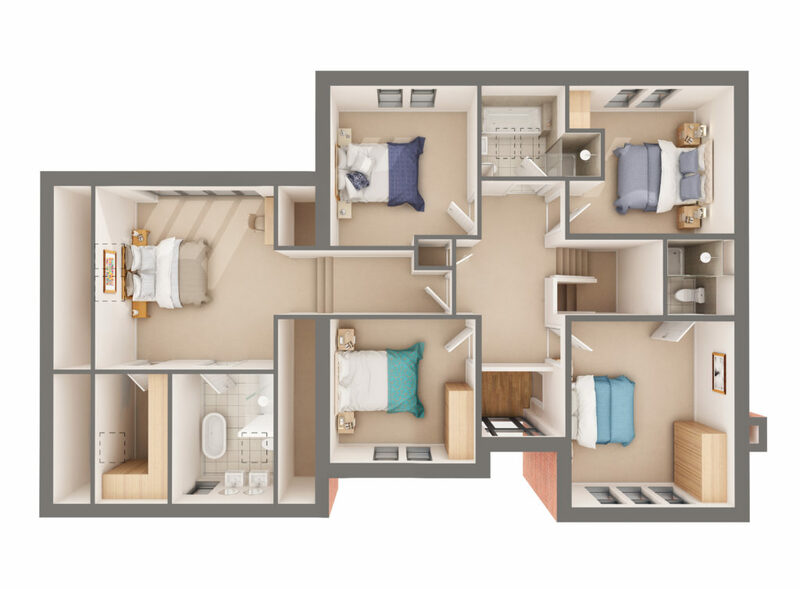 A further three double bedrooms complete this floor and share the family bathroom. Living Room 4.76m x 4.18m 15'10" x 13'8"
Family Room 4.97m x 3.73m 16'4" x 12'3"
Kitchen/Dining Room 10.36m x 3.80m 34'0" x 12'5"
Pantry 1.93m x 2.28m 6'4" x 7'6"
Utility/Boot Room 2.30m x 4.48m 7'6" x 14'8"
WC 0.97m x 2.06m 3'2" x 6'9"
Master Bedroom 4.89m x 4.58m 16'1" x 15'0"
Robes 3.11m x 2.49m 10'2" x 8'2"
En-Suite 3.11m x 2.46m 10'2" x 8'1"
Bedroom 2 4.76m x 4.18m 15'7" x 13'8"
En-Suite 1.93m x 1.71m 6'4" x 5'7"
Bedroom 3 3.84m x 3.77m 12'7" x 12'5"
Bedroom 4 3.68m x 3.73m 12'1" X 12'3"
Bedroom 5 3.80m x 4.22m 12'5" x 13'10"
Bathroom 2.33m x 2.14m 7'8" x 7'0"